​The early signs of common eye conditions such as cataracts or glaucoma can often only be identified by a trained professional. As a result, it is extremely important for patients to undergo routine eye exams. By evaluating your eyes at our Queens, NY, practice, Dr. Michael Ahdoot can diagnose conditions and provide treatment to achieve optimum ocular health. These appointments also give Dr. Ahdoot the opportunity to answer any questions you might have and share strategies for how you can best maintain your eyesight. To schedule an eye exam with Dr. Ahdoot, contact our practice today. 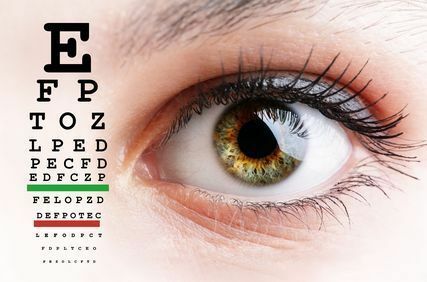 When Should I Undergo an Eye Exam? As a general recommendation, doctors advise patients to undergo a comprehensive eye exam every one to three years. However, those who are at a high risk for serious ocular conditions may need to schedule more frequent exams to ensure their vision does not worsen. Since many ocular disorders can be caused by aging, adults over the age of 40 should undergo a regular eye examination at least every two years. Any of these symptoms can be a sign of a more serious ocular condition, so patients with any similar concerns should seek a professional diagnosis as soon as possible. When spotted at an early stage, a condition such as glaucoma can be treated before it seriously impairs your vision or health. When you visit Progressive Ophthalmology for an eye exam, one of our experienced technicians will begin by measuring your optometric prescription and performing a test to measure your intraocular pressure. Next, the technician will take measurements and detailed images of your eyes to serve as a baseline for your diagnoses. Once these tests are complete, Dr. Ahdoot will review your medical history and perform a detailed slit lamp microscopic examination of your eyes. Finally, he will dilate your eyes with special eye drops, which will allow him to evaluate your retina and other ocular structures for any abnormalities or signs of damage. Based on this thorough diagnosis, we can begin providing treatment or plan further testing. Patients with more serious conditions may also begin reviewing their surgical treatment options. Since many ocular disorders can be caused by aging, adults over the age of 40 should undergo a regular eye examination at least every two years. Undergoing routine eye exams is one of the best ways to help maintain optimal vision. Furthermore, these exams enable Dr. Ahdoot to identify often hidden or early signs of other health concerns, including diabetes, high blood pressure, cancer, brain aneurysms, rheumatic disease and cholesterol among other serious medical and potentially life threatening conditions, and help you preserve your overall heath. When you visit Progressive Ophthalmology, Dr. Ahdoot will provide high-quality, personalized eye care in a comfortable environment. We look forward to helping you achieve clear vision and healthy eyes. Reach out to our practice today to schedule an appointment.